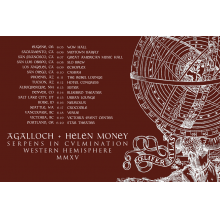 Cellist/composer Alison Chesley, who goes by the stage name Helen Money, has announced that she will open for Agalloch on their upcoming West Coast tour. Her newest full length Arriving Angels was released on Profound Lore back in 2013, and found Money continuing to use the cello to explore much darker textures that were just as ominous sounding as a doom record filled with booming guitars. Her inclusion on the Agalloch tour seems like a natural fit, and I wish I wasn’t on the other side of the country as I’d definitely like to see her perform at some point. You can listen to all of Arriving Angels below and check out the full list of tour dates. 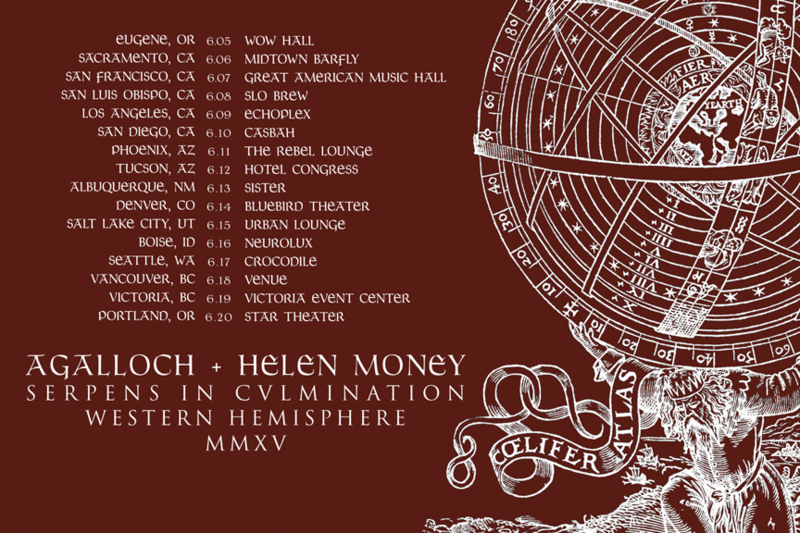 May 29th, 2015 (Los Angeles, CA) — Helen Money, confirmed to begin Agalloch tour as direct support on June 6th at Midtown Barfly in Sacramento. Her current release, Arriving Angels out now on Profound Lore, was recorded and mixed by Steve Albini at Electrical Audio and features drummer Jason Roeder (Neurosis, Sleep). Cellist/composer Alison Chesley, a.k.a. Helen Money, merges her classical training with a lifelong affinity for punk rock and a taste for heavy metal. In addition to her own material Chesley has also performed and/or directed string arrangements for artists like Anthrax (Worship Music), Russian Circles (Geneva), Broken Social Scene (Forgiveness Rock Record) and Yakuza. For her previous album, In Tune, she worked with Greg Norman (Pelican, Russian Circles, Neurosis), Sanford Parker (Pelican, Chris Connelly, Yakuza, Buried at Sea). Visit Helen Money online at helenmoney.com or facebook/helenmoneyband.com.